Cellular (Honeycomb) Shades – Window Designs, Inc.
Cellular shades, or honeycomb shades, also known as cellular blinds and honeycomb blinds, feature a unique honeycomb design that maximizes energy efficiency and insulates your home. 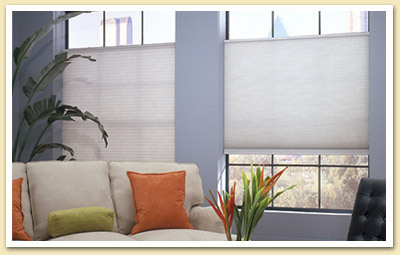 Cellular shades come in single cell and double cell. Cellular shades are an attractive and versatile window treatments solution with a wide variety of colors as well as several different patterns and pleat sizes. 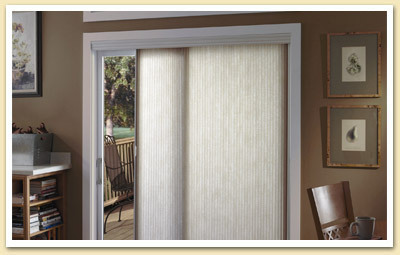 Adding to their versatility, cellular shades also offer different levels of light control from light filtering to blackout, as well as cordless and remote control for child safety. 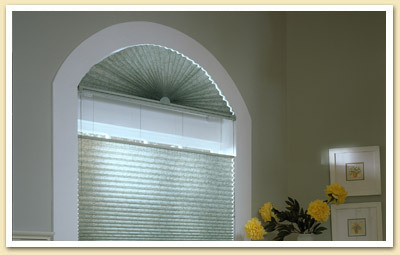 The cellular shades can be made to fit almost any shape or type window, including arched windows and skylight windows. Window Designs offers a great selection of discount cellular shades from Hunter Douglas, Vista Products, Levolor, Graber, Comfortex and others. Optional upgrades include top down/bottom up, continuous cord loop, cordless, and motorization. 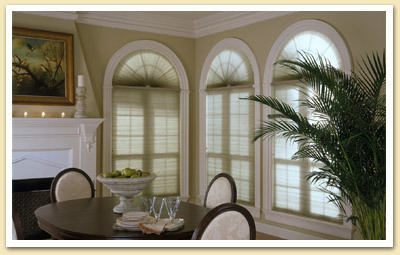 Cellular shades are also available in a vertical orientation for wide windows.